This is actually a piece I intended to write back in December, or January, after a period of reflection had passed following my third or fourth viewing of Star Wars: The Force Awakens. By the time the exam season had passed, however, I felt like I missed my window, and that everyone I know would probably have been thankful for me to shut up about Daisy Ridley, her ability to deadlift me, and Star Wars in general by that point, so I kept quiet. But my point has just been brought back to the limelight, bigger and better and even more resonant. Now, with the release of the first teaser for Rogue One: A Star Wars Story, I’m actually going to make it. The best sort of diversity is the one that you don’t even notice. Firstly, I would like to congratulate and state my admiration for Lucasfilm and everyone associated with their recent forays into the Star Wars universe, both silver screen and non, for their admirable and continuing commitment to diversity. It’s a franchise which, arguably more so than it’s unrepentantly progressive and liberal sci-fi cousin Star Trek, has long been used as an example for the gatekeeping of middle-aged white American nerd society, where the price of entry is your ability to quote issue numbers and spout complicated trivia with the confidence of that One Guy You Know who thinks he’s a right ledge for recognising Stan Lee in a Marvel Cinematic Universe movie. Far gone are those days, where ‘nerds’ were a fringe social group subject to being stuffed into lockers for their glasses and their pocket protectors. Come on. Sure, we all still have guilty pleasures. I don’t exactly go around spouting my tumblr url to everyone I know, because a girl’s got some things she likes to keep private. But Game of Thrones is the biggest show on television, Big Bang Theory is somehow still getting renewed, and everyone from Adam Scott’s Ben Wyatt to authors like Rainbow Rowell are reflecting a paradigm shift towards an acceptance that nerd ephemera, fandom, and transformative works have real cultural weight beyond something weird you can laugh at that oddball you know for liking or, yeah, 50 Shades Of Grey. The corporate ‘geek’ branding identity is a soulless capitalist machine constantly churning out one consumable product after another, burning the library of Alexandria by way of the t-shirt printing press, but, hey. It’s for everybody now. Her name is Jessika Pava. She flies in Poe’s squad and I love her. Secondly, I would like to invite everyone on the next viewing of Force Awakens or, hopefully, of Rogue One, to in the back of their mind acknowledge how strongly these films represent that. And I’m not just talking about the main cast, though it once again bears repeating that none of the new trio from the third highest grossing film of all time are white men. But rather, I’m talking about the background characters. The X-wing pilots, the First Order techncians in charge of powering up the super weapon, the stormtroopers reporting to Kylo Ren. None of these people ‘narratively’ ‘need’ to be people of colour, or to be women. It doesn’t ‘add’ anything to the story. So why are they? Because, shockingly, all those people exist. In Force Awakens, and in Rogue One, this works so well because you can actually see and appreciate that this looks like a rebel group, this looks like an underground political rebellion cobbled together from stragglers and dissidents and whoever they could find from across the galaxy. On the other side of the war, this looks like a power-hungry leader who is going to use the best of the best regardless of where they have come from. When a stormtrooper spoke with a woman’s voice – not even Captain Phasma! Just, a regular solider! – I was so, so happy. 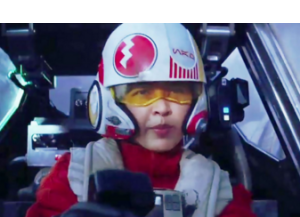 Because this was a weird backwards recognition that a woman could meet all of their First Order’s standards for their troopers and just, be there. I’m happy about being represented by a brainwashed prisoner of war. Yikes. I can only imagine what seeing Donnie Yen and Jiang Wen on screen will mean to people. 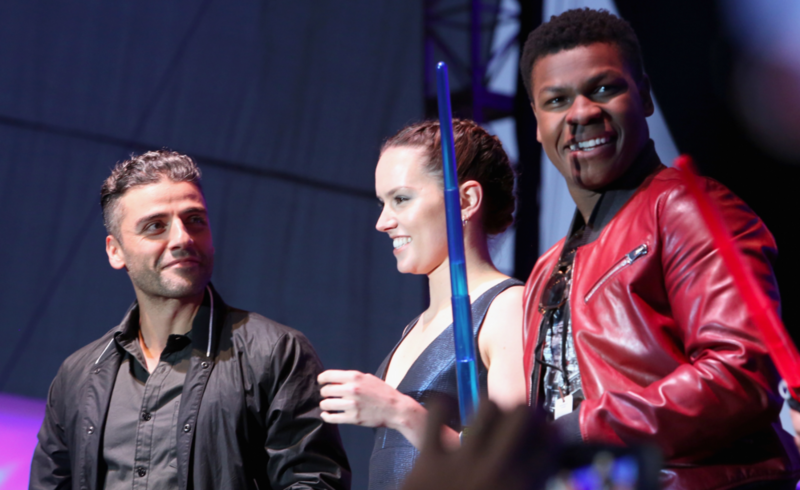 John Boyega still has to shut people down for being racists, which he does in truly delightful ways because the man is made of sunshine, while Oscar Isaac can be credited with canonising his and Poe’s Guatemalan heritage as much as one can in a franchise where there is, admittedly, no Latin America. Diversity makes your film feel real. Makes it feel realistic, and not just as a ‘PC box ticking exercise’ but, shockingly, because women and people of colour have real contributions to make to the world, fictional or not, in which they live. They don’t have to be the focus of the story, always. The point I’m making is that no one is, all the time. I’d have picked him over a man called Ephraim Atticus Aldridge. You rather missed out, Rose. But Sherlock is a show set in modern day London, and it’s recurring cast has exactly one non-white person on it. Fantastic Beasts And Where To Find Them is set in prohibition-era wizarding New York, and in an African-American neighbourhood at that, and there’s barely been a single black person in a trailer or promotional image – I’m sure Eddie will do just fine, but it doesn’t half look bland. 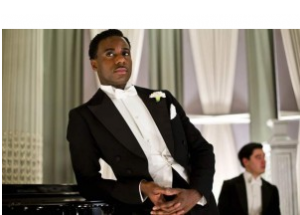 The most exciting that the late Downton Abbey has ever been is when it took it’s prim and proper upper class characters out of their natural environment, for example when it had the charming Lady Rose rather fall for the dashing black jazz singer Jack Ross. Suddenly the whole setting felt a little more real, a little more lived in. Why should a filmmaker ever aspire to remove realism from their work, to make it feel two dimensional, to appeal to and resonate with fewer people? Lucasfilm, J. J. Abrams and Rogue One director Gareth Edwards here haven’t, and I am thrilled. They are making some of the biggest blockbusters in the recent and coming years look like the real world. That should not have to be as great a revelation as it is. Finally, I’d also like to paraphrase a post from one perceptive tumblr user. Star Wars is particularly good at tailoring its villains to what people of the time fear most; in the late 70’s/early 80’s, it was faceless, militaristic dictators; in the late 90’s/early 00’s it was shady politicians who seize power questionably and then immediately start conflicts with murky ulterior motives; and in the ‘10s? It’s entitled white men who have inherited a legacy of great power and possess no self-control. If Rogue One does indeed deliver the ‘outgunned but morally appropriate opposition group confronted with a representation of the power of a potential tyrannical and merciless political power’ that it seems to be shaping up to, this Star Wars story isn’t just giving us a villain that embodies the social commentary we currently require. It might just be laying down some heavy symbolism and giving mythic weight to a reflection of our own, and international, current political climate. There is in fact a black person in the announcement trailer for Fantastic Beasts, dumbass. Look up Carmen Ejogo. I stand corrected, and I’ll own that mistake. But, for the record? This reminds me of that person who felt they were proving a point about how many black Oscar winners there were, by mentioning them all in a single tweet. *slow claps* Yes! In agreement with all of this. As an Asian person, I know we are everywhere, yet film doesn’t seem to represent that! On the whole British tv does, but film not as much. In creating fictional worlds, it should be done in a way that makes people want to connect and be a part of that world, and making characters a diverse variety of people does just that.